A young drummer in remission from cancer is taking on the Great North Run at the weekend to raise money for the charity that granted his teenage wish - to receive a John Bonham-esque vistalite kit. 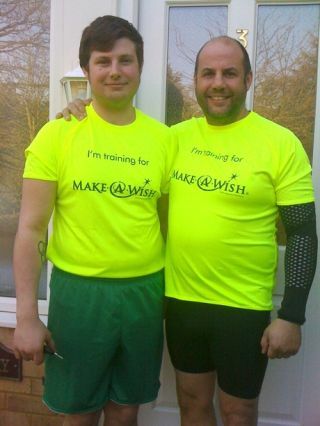 Joe Emmett will be taking on the punishing circuit on Sunday along with his dad to help generate cash for the Make A Wish Foundation UK. The 20-year-old was diagnosed with aggressive Non-Hodgkin's Lymphoma when he was 16. Thanks to the foundation, he was granted his wish of owning a Ludwig kit similar to those made famous by Bonham in the '70s. Joe said: "Make-A-Wish Foundation does great work brightening up the lives of children and young people battling life-threatening conditions - I should know as a recipient. When you're going through something like that to get what you wish for means a lot - it lifts spirits." You don't need to dig out your running shoes to do your bit for the good cause, you can instead sponsor Joe at www.justgiving.com/Josef-emmett.